A modern classic, the Personalised Secret Circle Necklace holds a secret message inside, perfect for those who prefer to wear their personalisations in a subtle way. Two sleek circles are suspended from an extra fine chain, falling together when worn to hide your hidden words. 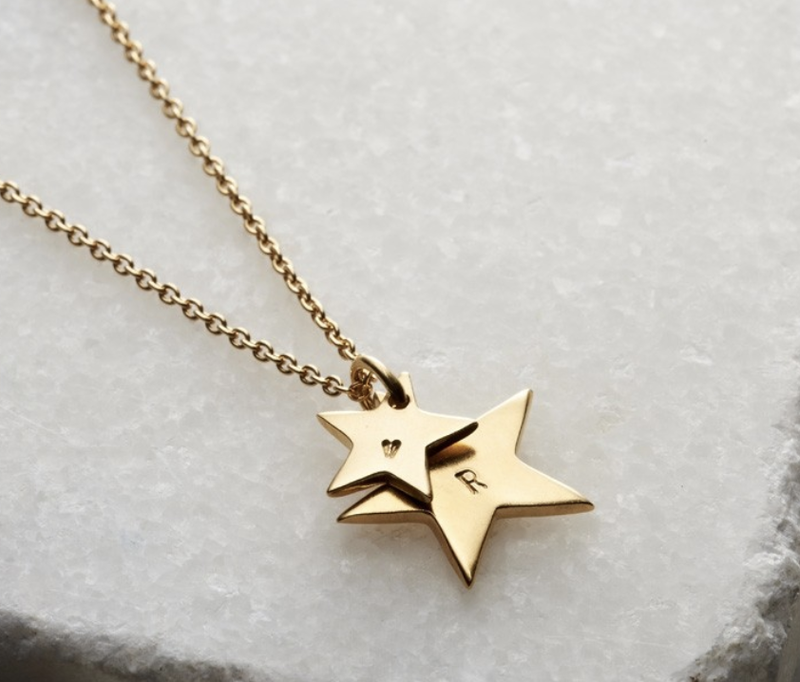 The necklace is also reversible if you wish the personalisation to be bold and visible. Each bespoke necklace is individually handcrafted and hand-stamped with your unique message. Popular personalisations include names, special dates, quotes, song lyrics or meaningful sentiments for yours and the recipient's eyes only! 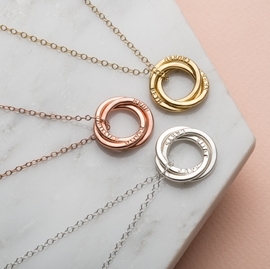 The Personalised Secret Circle Necklace makes a gorgeous gift for any occasion. If you would prefer your necklace without personalisation please leave the text boxes blank. 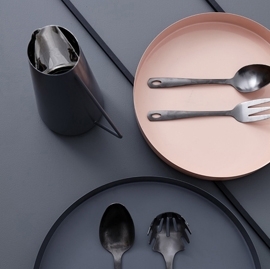 You can always return the item to us to personalise at a later date. 925 sterling silver with optional 9ct rose or 9ct yellow gold plating. Pendant measures 2.3cm across. Choose your chain length from the product options.